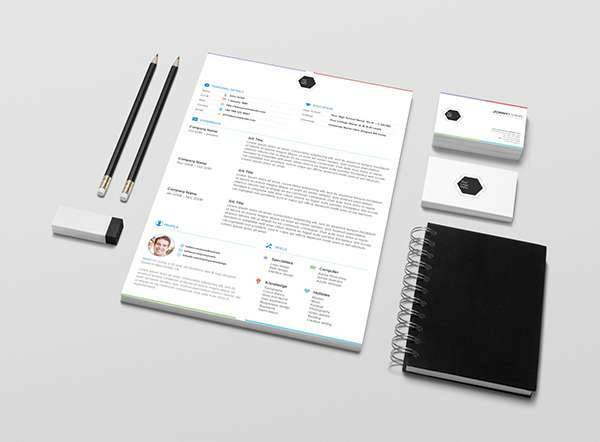 A professional resume should have the basic structure. Neat and precise flow will help you keep a professional look. However, do not hesitate to add some color or other elements. Interior design is all about style. So why not use it on a resume? 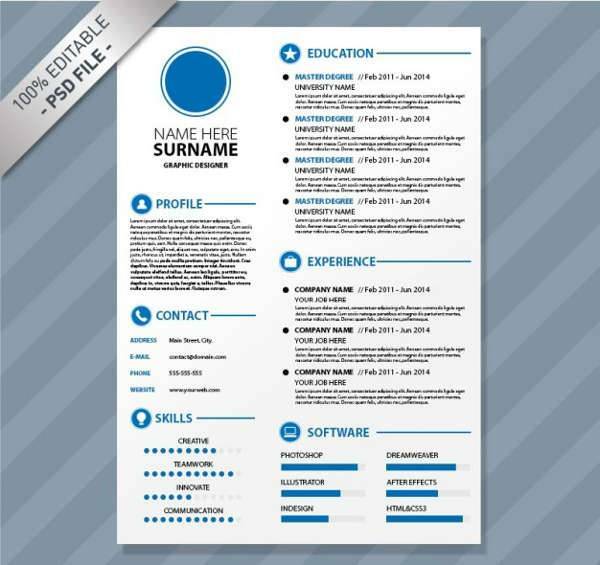 You can find modern, retro and a variety of other resume templates in most format files. 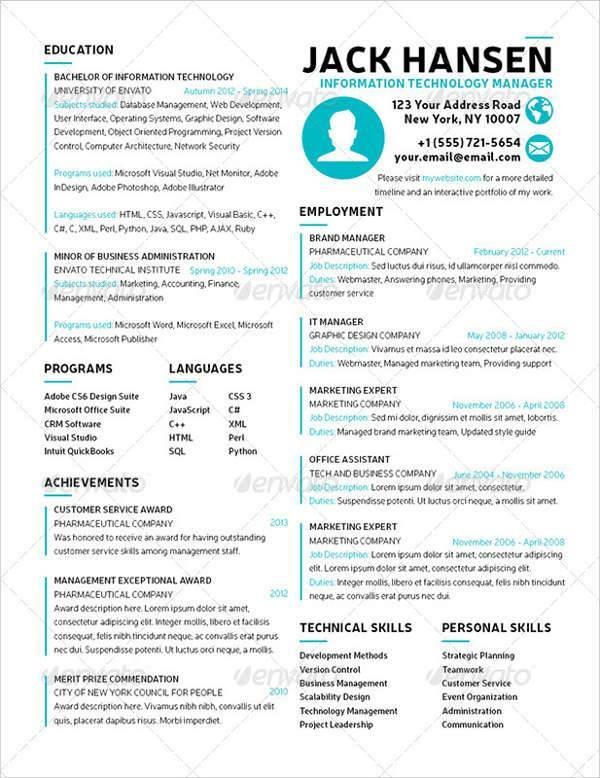 For web development, a clean resume would go a long way. You can find templates in docs and pdf formats for easier editing. Highlight your experience with vibrant colors. In marketing, you need to find a template that will sell you to your future employers. 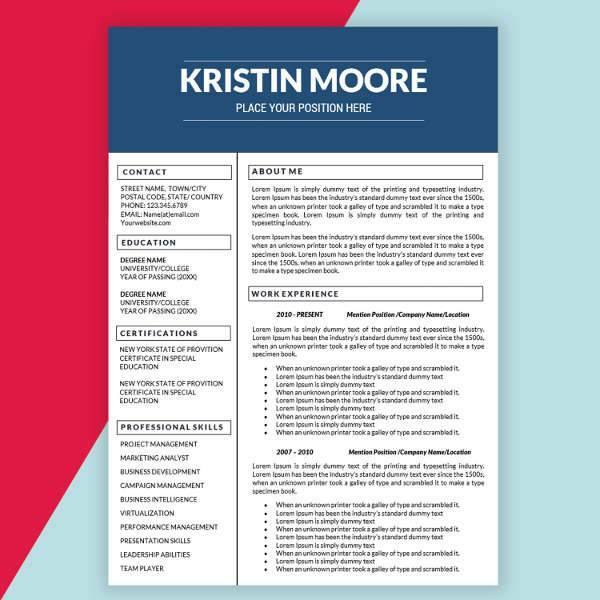 You can achieve that with a resume design that has bold elements and style. Complete your resume with something closely related to fashion. 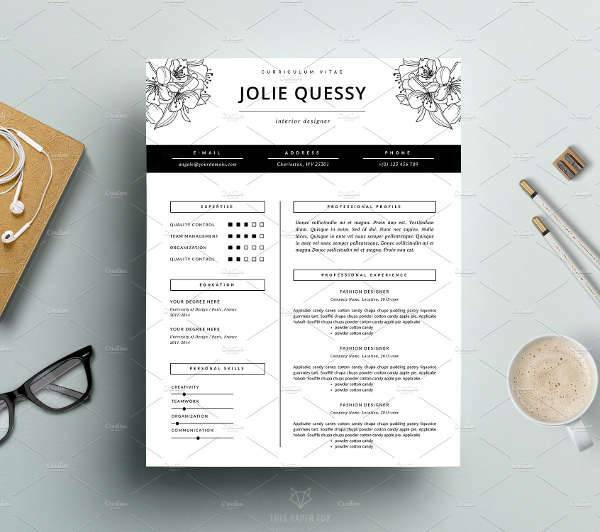 You can find templates in most format files that you can customize freely to reflect your personal style as a designer. Students can find numerous templates that they can easily edit in docx and pdf files. 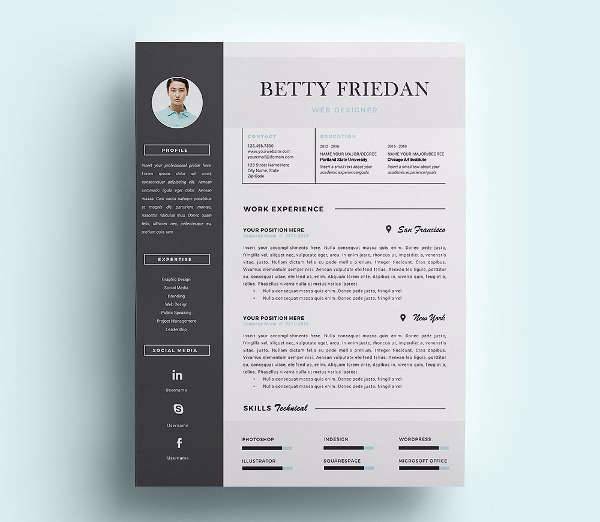 These resume designs are available in many different versions depending on the student’s style. 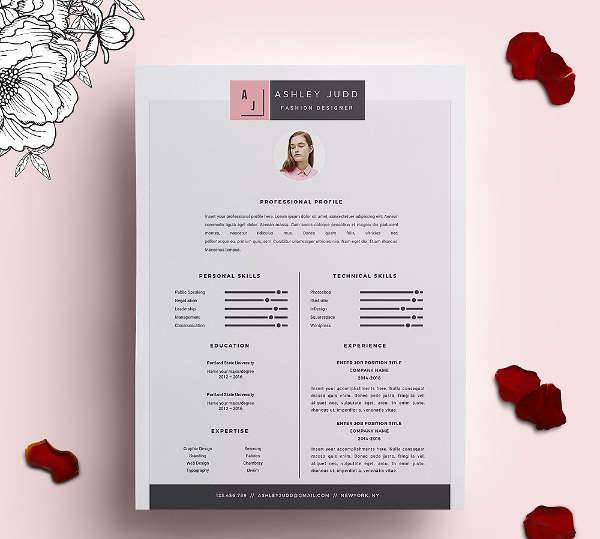 A business resume needs to have a sophisticated style. There are many format files available for easy editing that can guide you through the process of filling it correctly. Thinking out of the box is what most employers require in new employees. 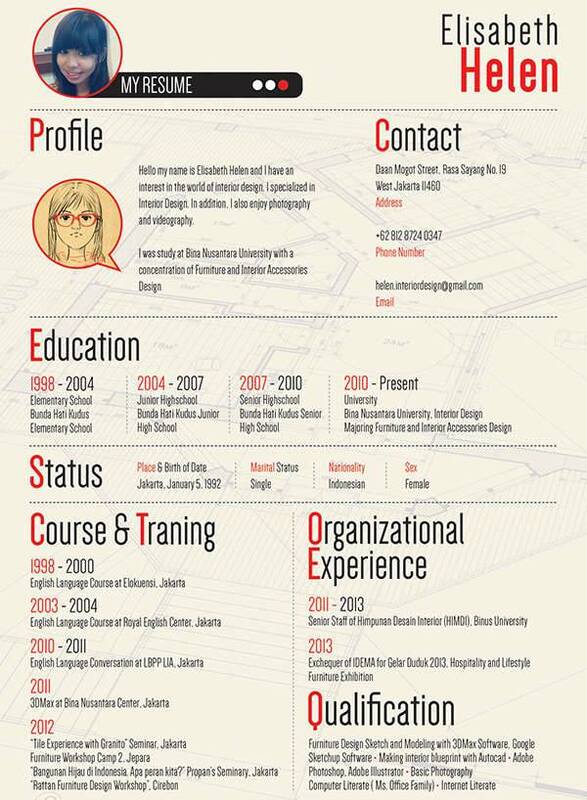 There are some amazing resume designs that have remarkable levels of creativity for almost every available profession. 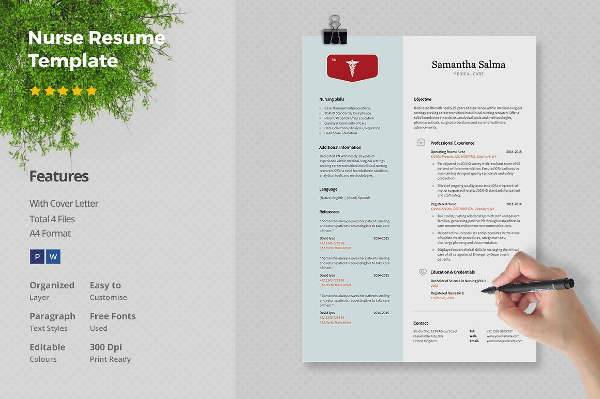 Your resume can be your portfolio. Make sure you include a small piece of your work in order to intrigue recruiters. You can find templates in docx and pdf formats. Recruiters spend an average of eight seconds looking at a resume. You have to make sure that yours is going to catch their attention and hold it too. 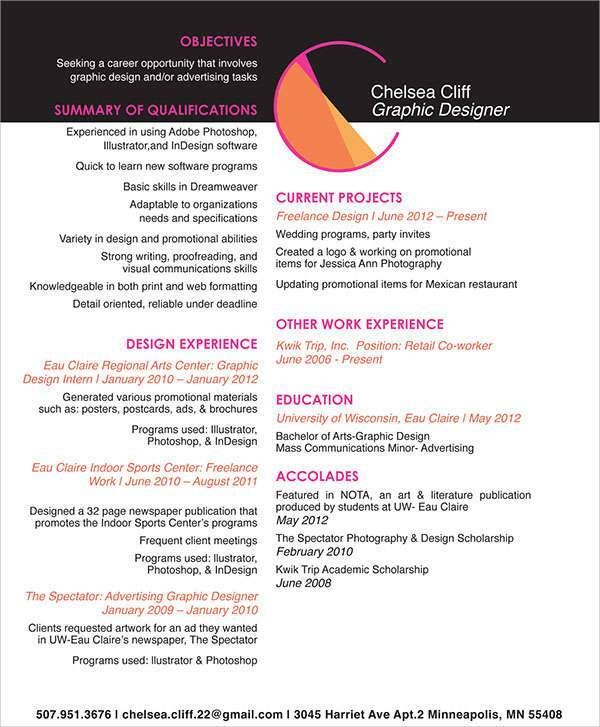 We hope that our collection of resume designs will be helpful for your future job hunting. We wish you all the best!